40 feet of lake shore on Superior Bay, located on the famous Park Point in Duluth MN. 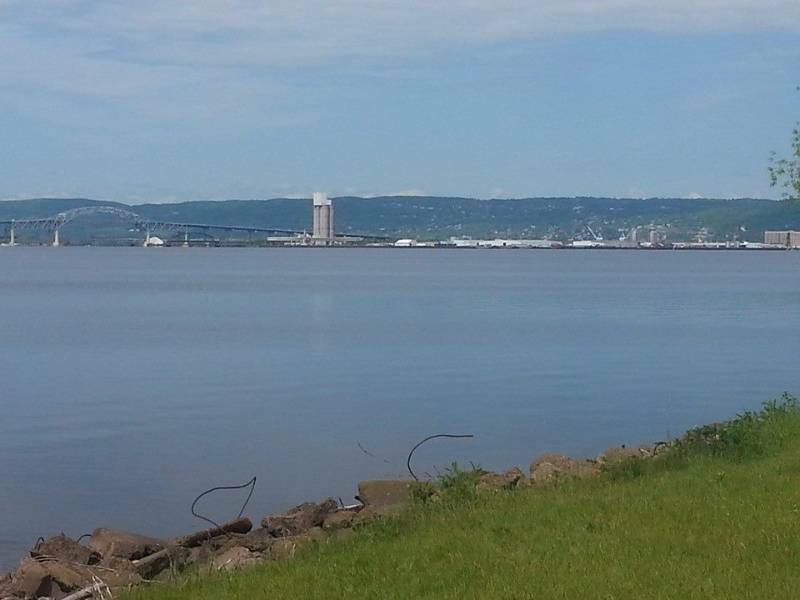 Take a short bike ride down the road to watch the ships come in under the lift bridge, have lunch at the restaurants and bars, or just watch the ships roll into the bay right from your own lake shore Property. This bay also has some of the best fishing Lake Superior has to offer, it is a winter hot spot for ice fishing and home of some monster Salmon! This Property faces south and provides breath taking sunsets over the city of Duluth and Superior Wisconsin located right across the Bay. The lot is not deep enough to be built on but could be combined with another lot on park point for lake shore access, in fact there is a buildable lot for sale right across the road or maybe you just want to have a dock on the lake this upcoming summer. 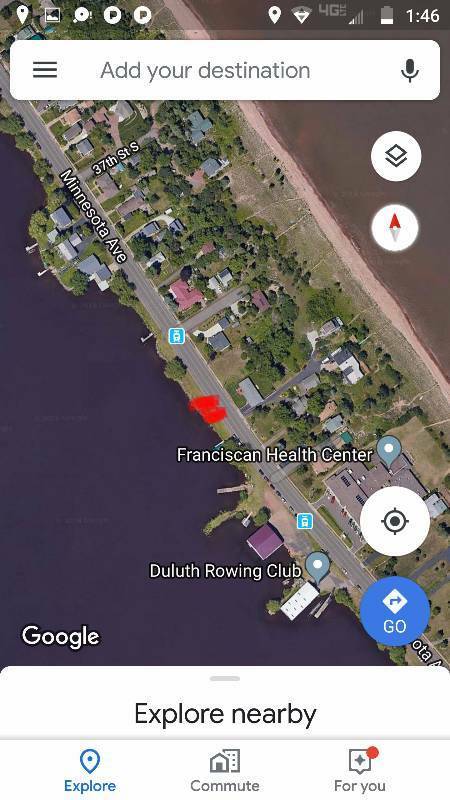 Contact the city of Duluth about the possibility of a Camper on the Property. Either way you can't go wrong owning land on this beautiful Minnesota tourist destination! Photo #1 is the actual view taken from the lot this previous Summer! A Sign will be on the property, The closest intersection will be Minnesota Avenue and 38th Street. There will be a sign on the lot in order for you to locate the property. Buyer of this Land must be paid in full within 10 business days of Auction close. 5% Buyers Premium will be added to winning bid. Ex: $10,000 winning bid will pay a $500 buyers premium. Winning bidder will receive a notarized quit claim deed to the property when paid in full. This Auction has a very low Reserve. Land is sold As Is/Where is. Empire Wholesale and Anthony Socher are not legally responsible for an injuries that may occur on the property at any time. This auction is contracted and managed by Empire Wholesale. This affiliate accepts Cash, Credit card up to $5000, Cashier's Check.